Whether or not you choose to accept these excuses, my apologies for not posting last Friday. 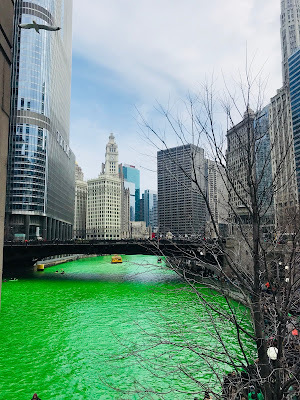 I hope it didn't ruin too many people's weekends. However, if you are an adult educator looking for TABE 11/12-aligned resources, I'm hoping you'll be quick to forgive me for taking some extra time to pull things together for this post. 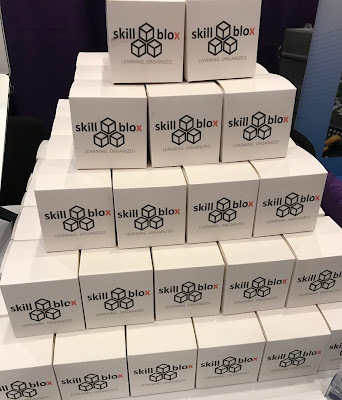 What's inside each of these SkillBlox? Well, to be honest, lots of candy. Though we aren't quite yet up and running, this month's (Wonderful Without-cost Wednesdays?!?) 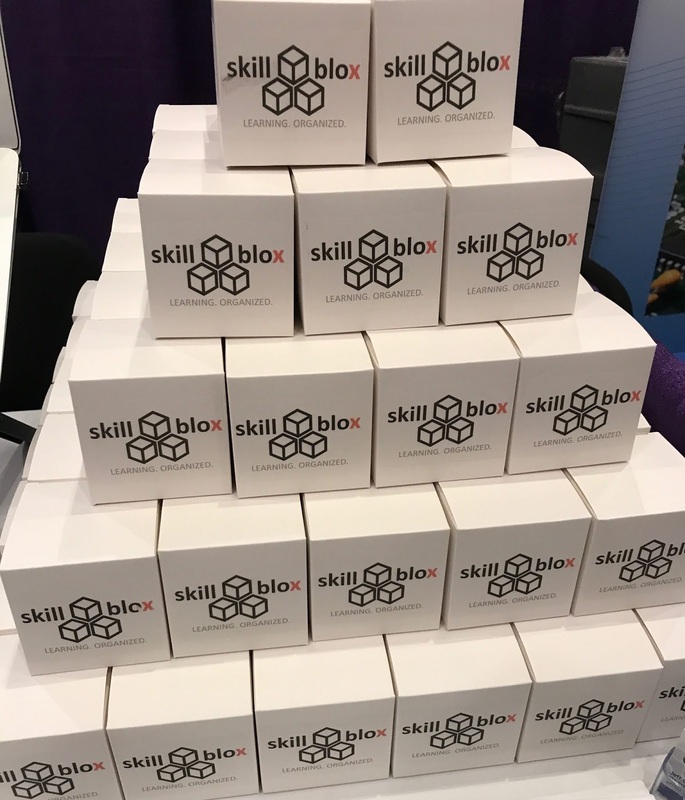 Resource of the Month is our very own SkillBlox. Why would we shamelessly (and belatedly) self-promote our own learning plan generation platform before it even is ready? Well, while the platform itself is not yet ready, that doesn't mean we haven't been compiling lots of lists of freely available resources. And, with all the feedback we've been getting regarding how critical it is for instructors to have standards-aligned resources, we wanted to be sure to have a wide range of free resources available as soon as possible. So, in the spirit of openness and in advance of our first release, we're starting to post our CCRS and TABE 11/12 content alignments as they are ready. You can access all of these alignments by going to the SkillBlox portion of our site and navigating to your subject of choice. As we complete alignments for the various resources we intend to include, we will be adding download links there so there isn't any guesswork in trying to find them. In the meantime, READ ON for an overview of what is currently available! And, be sure to sign up for our webinar on Tuesday, April 30 where we will do a walkthrough of the various resources as well as how to use the alignment docs. What resources have been compiled, and how do I access them? When you go to our website, or when you click on the links below as we give a quick overview of each resource, it will launch the alignment document as a Google Sheet (spreadsheet) in View Only mode. To save a copy to your own Google Drive, go to "File > Make a Copy" within the sheet. You can also download the file in other formats (Excel, PDF, even as a web page) by going to "FILE > Download as" and then selecting your format of choice. Now that we've got that covered....let's check out the resources! From the University of Colorado at Boulder, PhET simulations are designed to engage students through an intuitive, game-like environment where students learn through discovery. The simulations span all levels of math and provide rich opportunity for exploration and discussion around core concepts. There are a total of 21 unique simulations, many of which can be used at multiple levels and for multiple standards. All PhET simulations are available in a number of languages. website, or assigned via Google Classroom. Within our PhET alignment document, you will see there are two links in each row. One link will launch the simulation and can be used to guide students directly to the simulation you want them to use. The other link leads to the overview for the simulation, which includes a teacher guide for how the simulation works with suggested uses and challenges, as well as additional teacher submitted lessons and activities using the simulation. Additionally, all of the simulations can be downloaded for offline use, embedded into your website, and seamlessly assigned via Google Classroom. 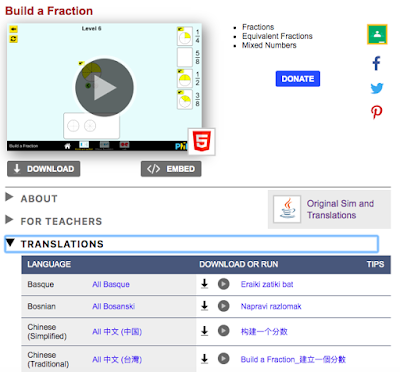 The simulations also can be downloaded or run in a variety of different languages. PhET also has a number of Science simulations, which all are aligned to the NGSS (Next Generation Science Standards). At some point in the near future, we hope to conduct alignments of these resources to the Science objectives of the various High School Equivalency tests. View and download our alignment docs for PhET. 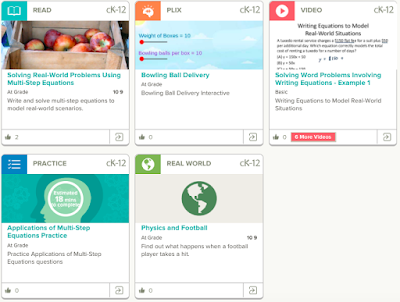 cK12 is a great resource that includes sets of various content related to specific skills, including texts, study aids, simulations, practice sets, and videos. 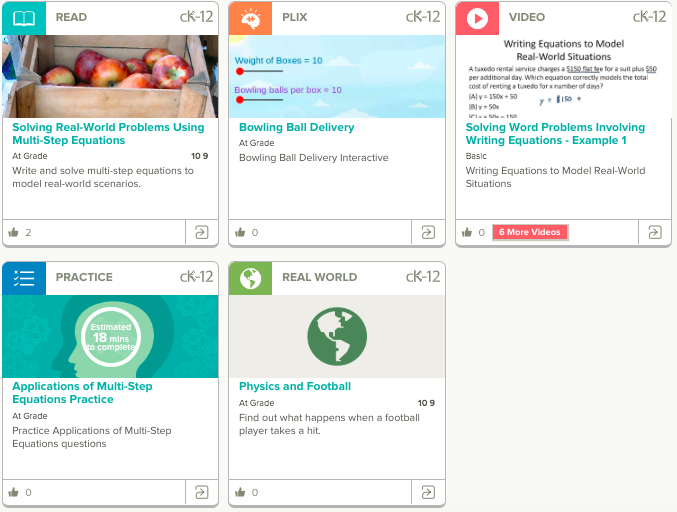 They also encourage folks to embed their content into their webpages, and cK12 integrates seamlessly with Google Classroom. 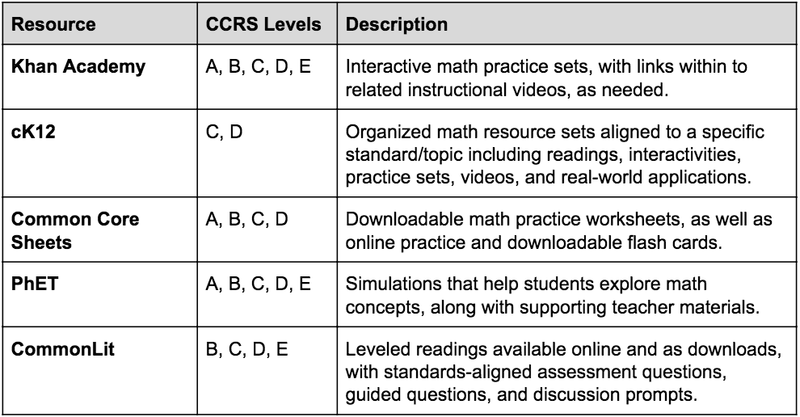 All of these cK12 resources align to CCRS Standard 7.EE.4. You can read more about cK12 from our June 2018 F^4 Resource of the Month post (yet another month where perhaps I missed the actual first Friday.....whoopsie). View and download our alignment docs for cK12. Read more about cK12's attribution guidelines. DISCLAIMER: As someone who is a HUGE proponent of conceptual mathematics instruction, I do not believe one should rely entirely on "drill and kill" practice. However, I also spent eight years in publishing for adult education where I was endlessly asked if we could provide more practice. Well, your wish is our command; actually, it's the amazing folks at Common Core Sheets' command, as they've gone out of their way to provide a ton of great practice worksheets, some of which do dive a bit into conceptual reasoning. By Standard | If you click on any of these, you will be directed to a page that has all of the various topics for a particular standard. By Topic | If you click on any of these links, it will bring you directly to the specific topic. The "By Topic" sheet might be a bit more useful because you can do a find (CTRL+F) of the sheet and search by standard code or keyword, as well as browse the various titles of each of the worksheets to get a better sense of what is being covered within each. View and download our alignment docs for Common Core Sheets. Read more on how to use Common Core Sheets. 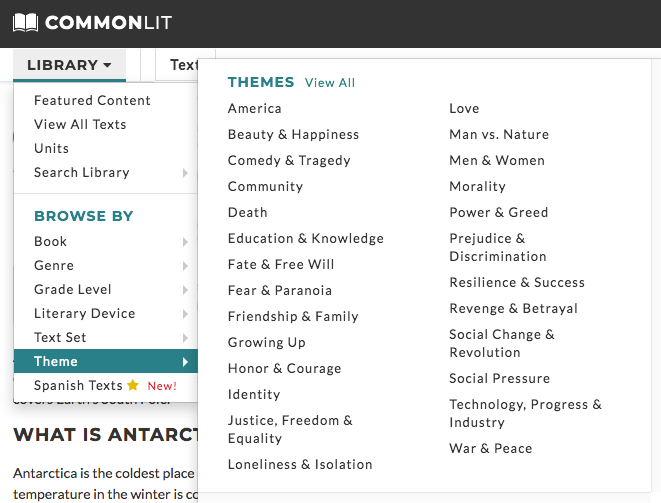 CommonLit is a resource that was introduced to me by an adult educator about 6 months ago. Since then, it seems to have grown in popularity, as I frequently hear it mentioned as being used by educators when I ask "What free resources are you using?" including a number of relevant themes to adult learners. This is not a surprise because CommonLit does a number of things really well. For starters, all of the readings can be read (and listened to) on screen or downloaded and printed. CommonLit also has a "guided reading mode" that allows instructors to include questions that guide comprehension for students as they read. In addition, each article has a set of assessment questions with an indication of the standard being assessed, as well as a set of teacher-led discussion questions, both easy to access and navigate. 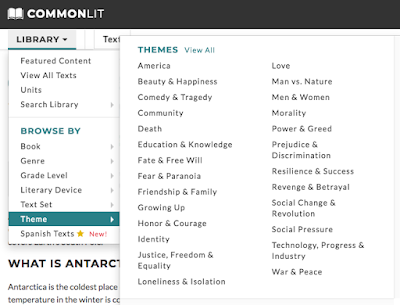 Finally, I think the filtering tools for finding readings within CommonLit are excellent, including a number of highly relevant themes for adult learners. 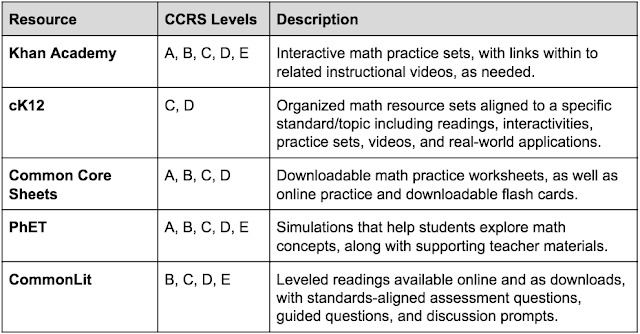 Grade level(s) | Levels are according to what grade-level standards are included within each CCRS standards level. Reading Anchor Standards | Standards are specific to the domains of Key Idea and Details, Craft and Structure, and Integration of Knowledge and Ideas. Lexile Range | Lexile levels are set to match the recommended Lexile level ranges for each of the CCRS levels. View and download our alignment docs for Common Lit. Thanks for aligning all this great, free content. Now what? Glad you asked! Join us for a webinar on Tuesday, April 30 where I'll walk through all of the great resources that have been aligned, share strategies for incorporating them into instruction through a variety of free tools, and share more details about the current status of SkillBlox! Do you promise to never be late again with your F^4 Resource of the Month? Doubtful, but I'll try my hardest! How'd you get those titles to be hyperlinks? Actually, if you click in any of the cells for the linked activity title, you will see something like "HYPERLINK(G5,H5)". And, if you scroll right, you will see I've hidden Columns G and H (or whatever columns were used). This allowed us to declutter the spreadsheets from being filled with messy URLs. What's nice about this is you should be able to copy the linked title and paste it anywhere—including Google Docs or Microsoft Word documents, Google Slides or Microsoft PowerPoint presentations, Google Classroom, even Google Sites—and when doing so the hyperlink will be preserved. If you want to un-hide these columns, you can select the surrounding columns, right-click, and select "Unhide Columns" and they will appear. If you do this, no worries....nothing will break.